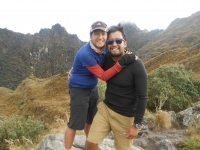 Me gusta la montaña y para mi era una ilusión hacer el Camino Inca, las sensaciones han sido muy agradables, hacerlo con mi mujer ha sido una experiencia maravillosa. Quiero agradecer a los organizadores las atenciones que nos han dispensado en todo momento. Very professional and well organised company. Communication on the lead up to the trip was quick and answered all my concerns. The trail was an adventure of a lifetime. Even the rain was a good experience. I would definitely recommend this trip to other adventurers like me. The trail was amazing. There were so many beautiful sights to see and the ruins are so cool. The second day is a little hard, but it is so worth it. 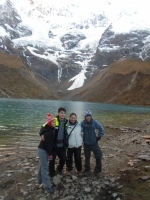 The food was really good and the porters were very nice to us. My Machu Picchu adventure had been an amazing one. The glacier view was breathtaking as well as the scenery along the way! However, the trek was challenging, just like a monstrous beast getting in my way to get to the "beauty". 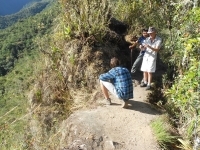 The trip has been very pleasant with Juan Carlos and his team of supportive crew members. The trip itself is a 5 days / 4 nights. 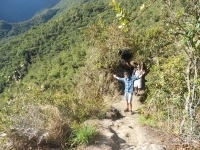 The first day trekking to Mollepata was amazingly breathtaking, literally. As an adult in his mid 50s, I suddenly realized I was exposed to something bigger than I had initially expected. This is an activity that needs to be completed by reasonably fit adults. My ignorance was my savior. Throughout the journey I had very specific goals. 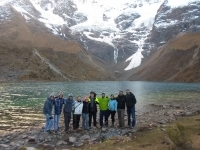 Our five day, four night trek with Salkantay.org / Inca Trail Reservations, was simply amazing. 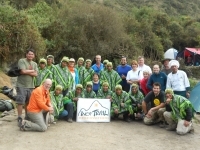 Juan Carlos and his team helped made the extremely challenging trek to be as accommodating as possible. Although the trek went through a variety of weather patterns, overall, the trek was just literally and figuratively breathtaking. 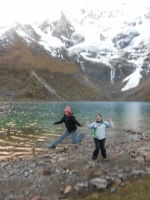 The Salkantay trek was my first major hike. It was exhausting and difficult, but an amazing experience with awesome people. 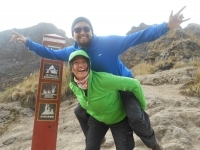 On my first day, I suffered from altitude sickness. My sincere thanks to John and Phil who made me feel better by providing me with warm clothing and medication. Five days of awesome !! 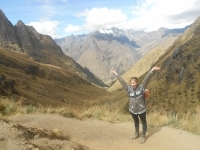 The Salkantay Trek was an unbelievable experience that allows you to see Peru and the greater Cusco region in all its glory! 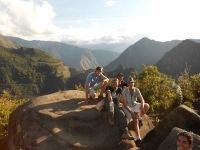 The guides, scenery and the experiences are truly unique and unforgettable. 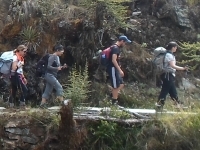 I highly recommend the trek to anyone who wants lifelong experiences and who want push themselves physically in a group environment. The tour was very informative. 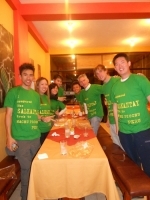 The food provided on the trip was amazing , which included spaghetti, pizza, caramel cake, and all types of soup that kept us warm throughout the trip. This trip was very exciting. 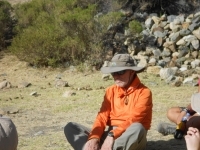 The four days and three nights on the Inca Trail was very tiring. However, it was also rewarding with the fantastic views and amazing archaeological sites that would not be reached by any other way except by foot. Overall I enjoyed this trip immensely.